My husband said that he will never forget the feelings he had when I was in labor with our first bundle of joy. I was doing good with it and getting ready to deliver, had the epidural and can't even talk because of numbness when suddenly my husband panicked and he was asking, "What's happening, what's happening?" He saw on the monitor that my daughter's heartbeat stop. The doctor and her team rushed me to the operating room for C-section. Later, the doctor told us that our daughter's umbilical cord wrapped around her neck. It was abrupt, thanks be to God, He was watching over us that day! 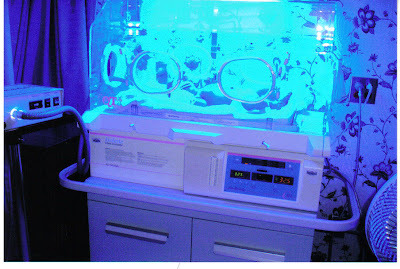 Rylie was born with jaundice (eyes were yellowish) and stayed for a day in the billirubin incubator. I was so bummed out and cried the whole time she was there because I know that It was very very hard for her. But after some sun exposure, it went away eventually. God is great, you just have to put your faith and trust to Him. Looking back to what had happened, I am still scared that we almost lost her, but thanks God, He was there! Do you have the same experience? You may share it here..
Omg! that was so lucky! God is truly watching over you and your daughter! take care..
Love the sunglasses. Thanks for dropping by my blog and leaving a comment. I always enjoy having visitors. Oh Man, that was the scariest moment in my life... Thanks to God, he protected you and Rylie! >Hi Sunny, kaya namimiss ko pag di ka bumibisita eh hehehe.. Deep and meaningful thoughts lagi komentaryo mo hehehe.. Thanks a lot! >Wow, God is really great Ate Ces and Sissy... He always protect us and our love ones! >God is great Hon, we just need to believe in Him and we'll be alright..
>Thanks Amy, yeah its the secret to being safe all the time.. Keeping our faith and belief strong! it was really a miracle Mommy Rose..giving birth puts a mothers life in great danger, successful child birth is already miracle..Thank God for your little girl's life..
pero tingnan mo naman ngayon ang pinaghirapan mo Rose, ang cute naaaa...sarap kurutin...pahiram ng sunglasses..hehe. Thanks to the Highest One. that was so scary. God is really there to help us always. I had C-operations with my 2 kids and thanks to God, everything was fine. God is really great! He do so many amazing things for us. dito uli ako Rose :-) happy weekend! god is good! she so cute. anyway interested on link ex? let me know if you do, thanks! It's always sheer pleasure to read posts on your blog, they are so personal and wonderful. I pray to God that your family sees much happiness in future! Btw, I liked the post about your in-laws. It's great to have a loving husband or wife, but the support of in laws goes a long way too, I guess. talagang mahirap,masarap Cs. pero mas masarap ang hubby nasa side mo. Oh what a great memories to be thankful for a blessing from above..Happy weekend. God is truly watching over you.Praise God! i had the same experience too with my eleder son. his umbilical cord was wrangled in his neck. he stopped breathing, too. it really was a scary thing. I bet that was so scarey for you, glad she made it, she is such a beautiful child today. She has been through a lot... Blood transfusion, IV for antibiotics, breathing monitors attached to her chest for two months, ear surgery... hahayyy! but she surpassed it all thanks to God! That was a rough experience for you two. I cant imagine the hard times you went through. Im glad rylie was fine and grew up to be a smart, healthy, and happy baby. Jake had jaundice too but it was only 1 day. Kasi yong tinirhan namin noon walang init ng araw nakakpasok hehehe sarado lahat. I agree with yo tsang, God is really good to us all the time. He always there for us. Prayers and support from friends and loveones is a big help, too. But the best is, keeping the faith in HIM! oh my...what a blessing indeed....God is really good...I know what you felt during those times....just like what happened to Akesha,,,I called her sometimes...miracle baby....that was the most devastating experience in my entire life.....thank goodness she made it...we thought kasi we gonna lose her....kalain mo ba naman na kulang ng buwan...my gosh...kinikilabutan ako every time I think about it...and the NICU experience was horrible. Nice posts. I enjoyed reading your entries. BTW, I am now following your blog. Ate ang dami nyo talaga napagdaanan.. and i could imagine the pain and restlessness you experienced with your lil girl, as well with the boy. Thank God talaga, your kids are all well. ate ano email add mo? Hello Bams, oo nga after all we've been through, we are solidified and act as one. Faith is the only thing we can hold on to pass all the trials. Thanks everyone for all your comments and wonderful thoughts! now ko lang to nabasa. wow, buti na lang pala at observant si John, otherwise, kung ano na ang nagyari ke Rylie. Kakatakot nga ang experience nyo..buti nga at nakaisip pa kayong mag anak uli.